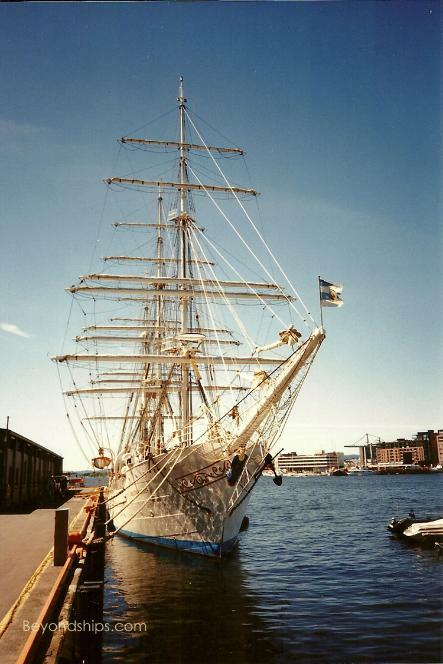 places of interest in and around Oslo. 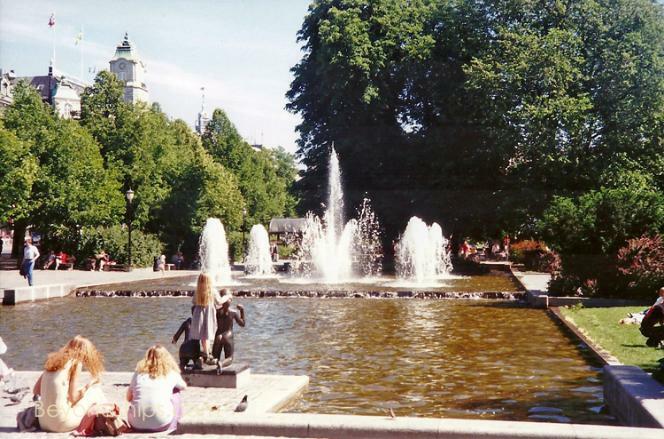 numerous parks and gardens give Oslo a clean and open feel. 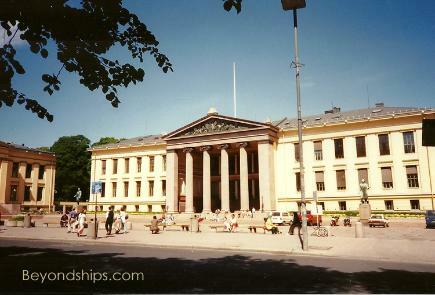 Oslo boasts more than 50 museums as well as many art galleries. 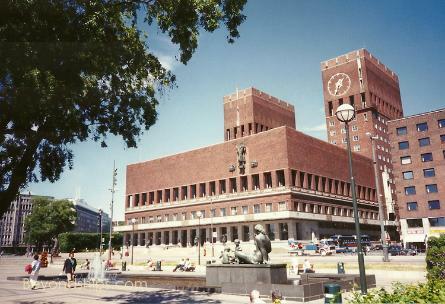 The main shopping area is concentrated around Karl Johans Gate. as shops in other parts of the city. often accepted in the shops. 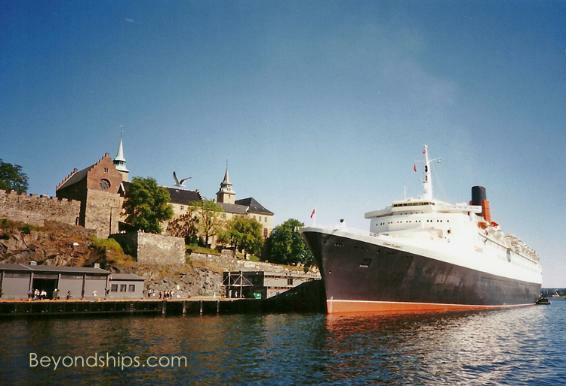 Below: Queen Elizabeth 2 at the cruise ship terminal. 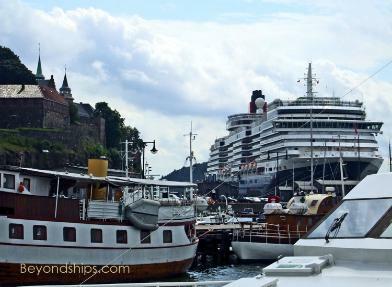 Below: Queen Victoria at the cruise terminal. 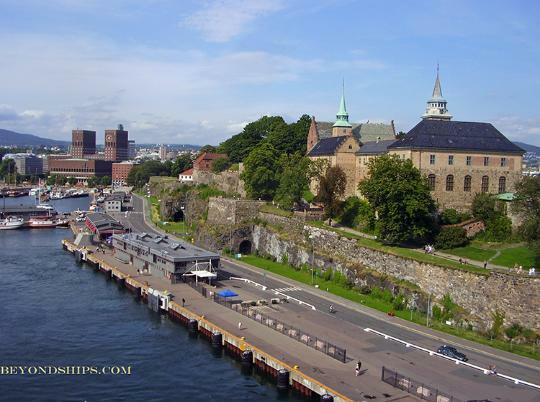 built at the head of Oslo fjord in the 8th Century. defend it, he built Akershus Castle. 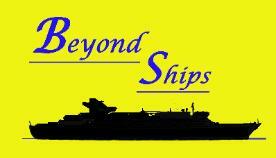 Hanseatic League, which was dominating Scandinavian commerce. practice, Denmark dominated the union. was diminished during this period. 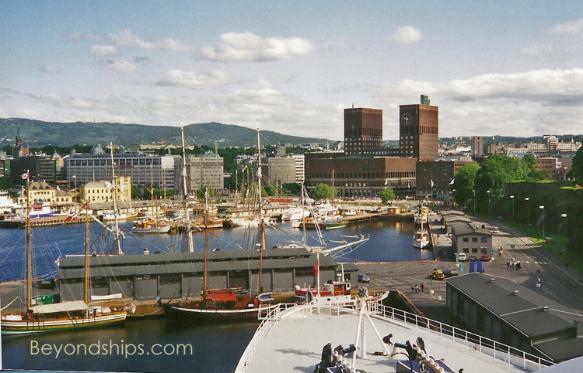 nonetheless prospered and became Norway's largest city. Norway to Sweden, which had been on the winning side. Blucher. 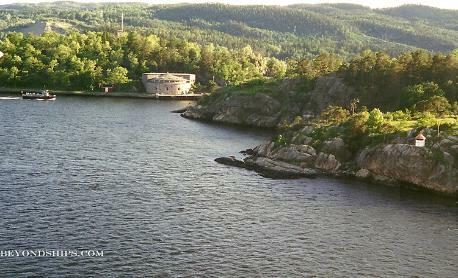 The Nazi occupation lasted until May 1945.
the North Sea adjacent to Norway. 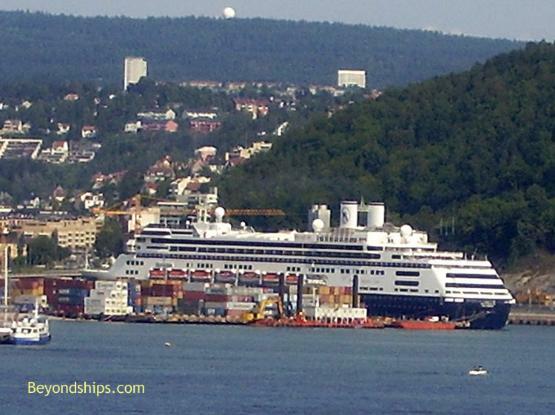 cruise ships that have called in Oslo. attack on Oslo with its big guns and to land troops.